Liverpool are in good form at the moment and are moving up the league. At home they have won 7, drawn 5 and lost just 2 games and in their last 8 games (home and away) they have the best record in the league with 6 wins and 2 draws. They have scored 22 goals at home although they have been even more prolific in recent games with an average of over 2 goals scored in their last 6 home games. they have conceded an average of 1 goal per game but again that average is slightly higher in their last 6 games at 1.25. Their average goals per game rate is 2.5 but in these last 6 games it has risen to almost 4 and they will be pushing for a good win here. 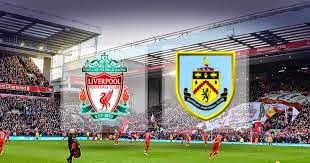 Burnley have as expected struggled this year but they are close to moving out of the drop zope although their away form is quite poor with 1 win, 5 draws and 7 defeats and with 26 goals conceded and only 1 clean sheet kept they concede too many goals. they have scored 12 away goals so their average goals per game rate is 2.8 and 8 of their 13 away games have been over 2.5 goals.I Think there should be at least 3 goals in this match.